AJ Taylor Electrical Contractors specialise in security solutions across Brighton, Sussex and Surrey. We are a Paxton approved installer and can provide Access control in both commercial and domestic properties in Sussex. In commercial buildings with a high number of staff and visitors, there will be a need for easy access for the right people whilst retaining a high level of security and controlling who is entering your premises. There are many varied forms of access control. AJ Taylor has the experience and expertise to advise you on what is the best option to consider whilst providing ease of use for all users of the system and a level of security that is required of the application. 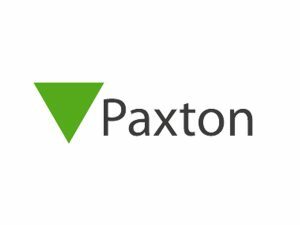 We are proud to offer access control solutions as a Paxton approved supplier, providing the highest quality systems at a competitive price. We can install security systems in both commercial and domestic buildings, from large scale new build sites to single building office space which requires limited access. Get in touch for a free, no obligation survey and estimation of you needs in which we will provide a tailored quote bespoke to your requirements.